The larvae of this species feed on a variety of shrubs particularly in the Euphorbiaceae and Fabaceae, e.g. the genera Breynia, Phyllanthus, Aeschynomene, Indigofera, Sesbania and Acacia. Mature larvae 24-40 mm long, body dull green with a white line edged with yellow; head green. 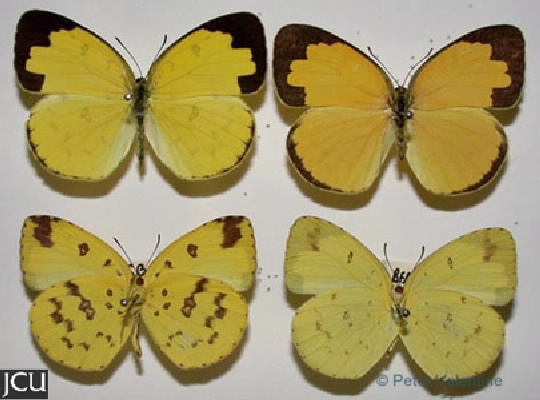 Adult fore wing is yellow with black on the margin, hind wing has a narrower black band, bands in the female are larger; lower surface paler lacks marginal dark band.